Over on a hammock/hiking message board I frequent there was a truly entertaining thread prompted by this video, which is a review of a sport hiking kilt. 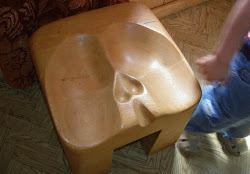 Unfortunately its in the donating members only area. 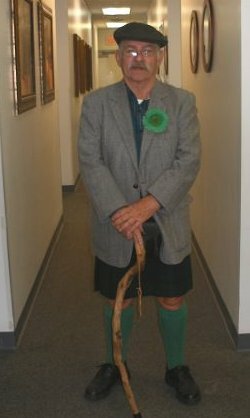 Several of the guys talked about wearing kilts. Thanks. It's a nice review of a Sport Kilt. I don't own one as I just haven't felt the need to buy what I can make. 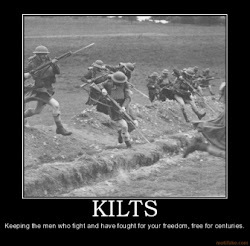 I may someday, they have a lot of tartans I like and features in their kilts that I like. OF, Your methods of using the two irons is ingenious!! I never thought of that before. great ideas. ..... the iron I have now was given to me by an elderly nurse(who has since passed away 10 yrs.ago)and it belonged to her mother... it has a cloth cord also and It still works perfectly although I never use the steam part of it... it's heavy too.